Auntie M enjoyed Maggie Barbieri’s first Maeve Conlon thriller, Once Upon a Lie, and had been looking forward to the sequel. 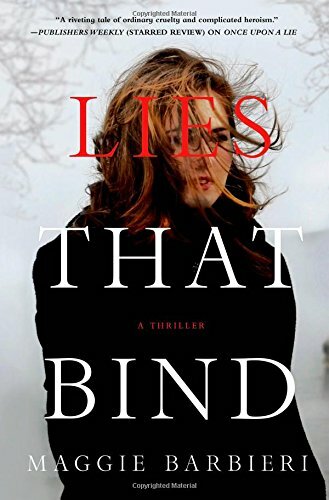 Barbieri keeps up the promise of the first with her second installment of the Westchester baker’s life in Lies that Bind. Who would ever think that a divorced mom of two teens, running her own bakeshop, could get into the kind of situations that Maeve does, yet once you know Maeve and her life, it all seems more than plausible. With her ex-husband and his new wife and son as part of her blended family, Maeve is very representative of a modern woman in most respects. Just don’t mess with her when she gets angry. Maeve’s friend and bakeshop helper, Jo, is heavily pregnant, and somehow it’s Maeve taking Jo to birthing classes instead of Jo’s detective husband, Dave. This is just the tip of Maeve’s iceberg when her father, Jack, a former NYPD cop, dies suddenly. Despite his increasing dementia looming over her, Maeve thought she’d have him around a little longer. The two were inordinately close, as Jack raised Maeve after her mother’s death, the story that forms the basis of the plot of Barbieri’s first book, where Maeve unravels the mystery behind her mother’s death with startling consequences. With Jack’s death blindsiding her now, Maeve receives another blow at Jack’s wake from the two sisters who were her arch enemies in the old neighborhood. One drunkenly suggests that Maeve had a sister she knows nothing about; the other seems to know more than she’s telling. Secrets, terrible secrets, have been kept from Maeve. Maeve is desperate to find out if she had a sibling, and sets off to do her own investigation just as vandals break into her bakery, her shady landlord disappears, and an amputated finger suddenly appears in her bakeshop fridge. 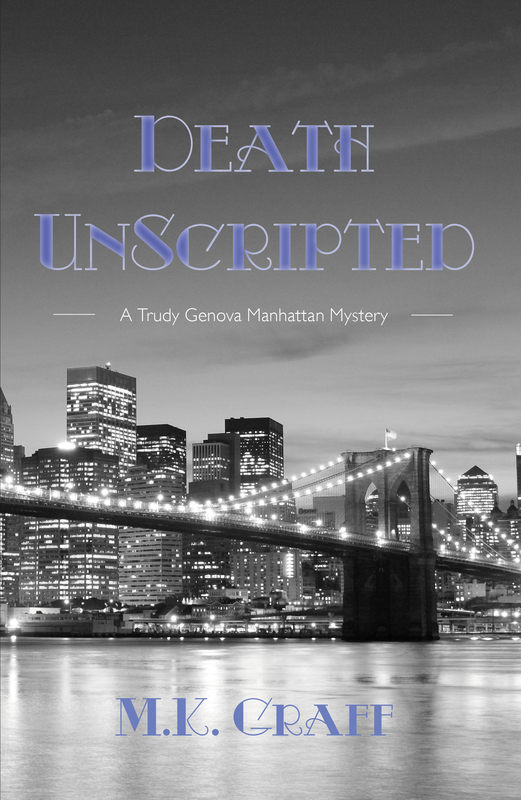 Add to that the usual issues with her daughters,stolen money, and a sudden interest from the local detective to add a little frisson to her missing love life, and Maeve has her hands very full. The wry humor in this series balances the darkness that Maeve encounters. Maeve is a modern woman, a savvy businesswoman whose business is thriving thanks to her own incredible efforts. She’s a mother who keeps a fake personna on social media pages so she can friend her daughters and keep tabs on both teens. She’s a tiny, spunky woman you can’t help but admire, and it only seems fair that Barbieri allows Maeve to have a bit of a personal life along the way in this one, even as the baker uncovers what turns out to be a diabolical scheme. Nicely crafted fingers of the plot come together into a very satisfying ending. Highly recommended. 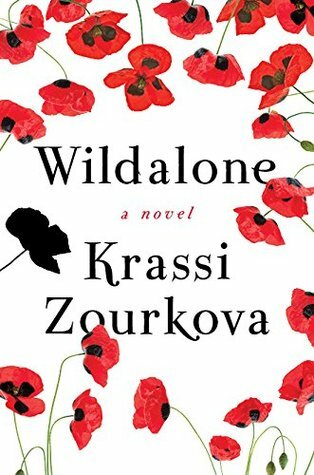 Bulgarian author Krassi Zourkova studied art history and wrote poetry at Princeton, the setting for her debut novel, Wildalone. After graduation from Harvard’s Law School, she’s practiced finance law, but her experiences at Princeton provide the descriptive and realistic setting for this wildly imaginative novel. 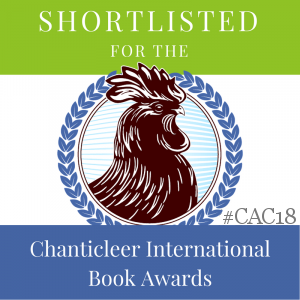 Thea Slavin is the protagonist whose journey we follow, a talented pianist in America at the tony institution, away for the first time from the protective cocoon of her Bulgarian family. With a host of universities to choose from, she’d been leaning toward attending Harvard until a relative reveals a long-held family secret: Thea had an older sister, also a talented pianist, whose Princeton experience ended in her early death. The manner of that death contains its own secret, ones Thea vows to unravel. Within the circle of students at Princeton, she is intrigued by an elusive young man, Rhys, and his brother, Jake. Knowing them will catapult Thea into unseen layers of a sensual mythic underworld that becomes as irresistible to Thea as it is dangerous. There will be forest witches, mythic revelations, and the ultimate entrapment of men. This is a mystery as Thea becomes more and more determined to find out the truth of what happened to her sister. But it’s also an exploration of a world that shadows aspects of Greek mythology. It is to Zourkova’s credit that she brings the reader along on Thea’s journey in a manner that allows readers to play the ultimate “What if?” game: What if dead doesn’t always mean gone forever, and people can be strung together by love and devotion in unlikely ways? The background and history of the music Thea plays is an added bonus, evoking the emotions that she exhibits and connecting the bits of her story to the other main characters. The elements of magical realism are slowly introduced in such a way that just as Thea must come to accept that there are things beyond her ken, so does the reader. Very original and told in a deft manner. Voss and Edwards are co-authors of four other novels, as well as over eight solo novels between them. 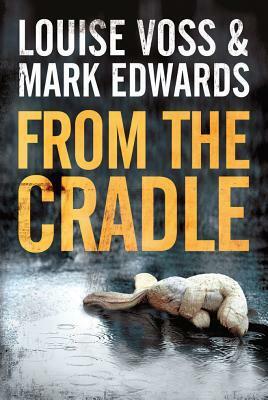 This offering, From the Cradle, introduces DI Patrick Lennon in the first of what promises to be an interesting and entertaining series that Auntie M will be certain to follow. It starts out with a fascinating prologue that sets up Lennon’s home situation, which Auntie M won’t reveal here but which is fraught with anxiety, and will shadow this big case, which starts when several young children go missing. Three-year old Isabel Hartley is snatched from her home on a tony street, taken from the front room in the middle of the afternoon. Two days later two-year old Liam McConnell is abducted from his car when his mum runs into Sainbury’s to pick up her dry cleaning and returns to find the back door ajar and Liam missing. Then Helen and Sean Philips go out for a rare evening, leaving their teenaged daughter to babysit three-year old Frankie. When they return that evening, teenaged Alice is zonked out on the sofa, and Frankie is missing from her bed. There will be a host of witnesses who’ve seen noting and several unreliable narrators along the way as Lennon and his partner, DS Carmella Masiello, head a team in a race against time, trying to find the abducted children. Are these the work of a kidnapping ring? Or are there different reasons for the children to go missing just now? In a most surprising twist, what would appear to be the end of the case instead turns into an even more involved plot switch. It would give away too much to tell more specifics except to say that nothing is what it seems on the surface as buried secrets from the past will return to haunt several of the main characters and affect the outcome. Fine characterizations, realistic situations and a compelling plot all make this series one you’ll want to watch for. The second installment is due this fall and Auntie M will be in line. Highly recommended. Jill Paton Walsh’s fourth Wimsey/Vane mystery, The Late Scholar, gets the tone of Sayers duo just right as the couple and their two sons have grown and mystery brings them back to Oxford. Michael Robotham’s Watching You takes psychologist Joe O’Loughlin, one of Auntie M’s favorite characters, to one of his most twisted cases yet, when Marnie Logan asks for his help. Frances Fyfield continues to write amazing psychological crime novels with strong characterizations that never fail to surprise Auntie M. The Goldigger is a case in point. Sophie Hannah had a banner year. Her two, Kind of Cruel and The Telling Error are vastly different but both with compelling and complex plots. 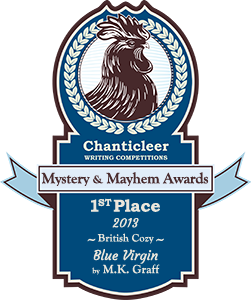 She was chosen by Agatha Christie’s estate to write a new Poirot novel, and in The Monogram Murders, gets the Belgian detectives voice just right. 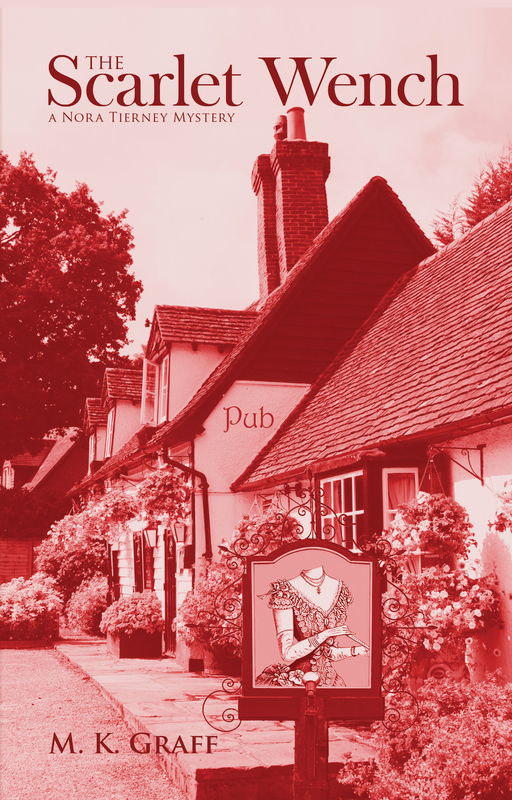 Aline Templeton continues her DI Marjory Fleming series with a strong entry in Bad Blood. Elizabeth Haynes Under A Silent Moon proves that there IS a new way to tell a crime story, with this strong entry into police procedurals that includes the forms used in an investigation to follow the clues. Jane Casey’s Maeve Kerrigan series is a favorite, with two entries: The Last Girl and The Kill. Harry Bingham’s DC Fiona Lewis brings her unusual background and personality to Love Story, with Murders. Nicola Upson continues her Josephine Tey series with The Death of Lucy Kyte, based on a real historical murder, and filled with mid-20th century details. A D Garrett’s debut, Everyone Lies, launched an unusual crime duo who they will bring back in Believe No One. Deborah Crombie’s Duncan Kincaid/Gemma James series keeps getting stronger, as evidence by this 16th offering in To Dwell in Darkness. James Oswald’s Inspector MacLean series, set in Edinburgh, continues to be a page turner with Dead Men’s Bones. Tana French has another strong crime novel, this one spanning just one very long day, in The Secret Place. Tony Parson’s debuted a new series featuring DI Max Wolfe, a single parent to a young daughter, in The Murder Man. Susan Hill’s Simon Serailler series is a continued delight. She never hesitates to take chances other writers would shy away from, and this is apparent in The Soul of Discretion. Finally, last but certainly not least of all, we have John Harvey’s last Resnick novel, Darkness, Darkness, a fine tribute to the series of a well-loved detective. Auntie M hopes if readers haven’t discovered these authors, you will seek them out!